Create a simply beautiful nursery for your baby girl or baby boy with these woodland essentials. 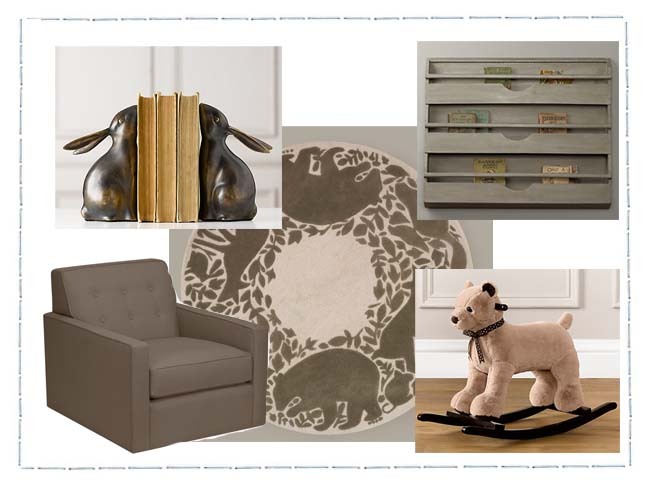 The soft tones of white, tan, brown and grey give the room a classic feel while the woodland creatures add a playful side. 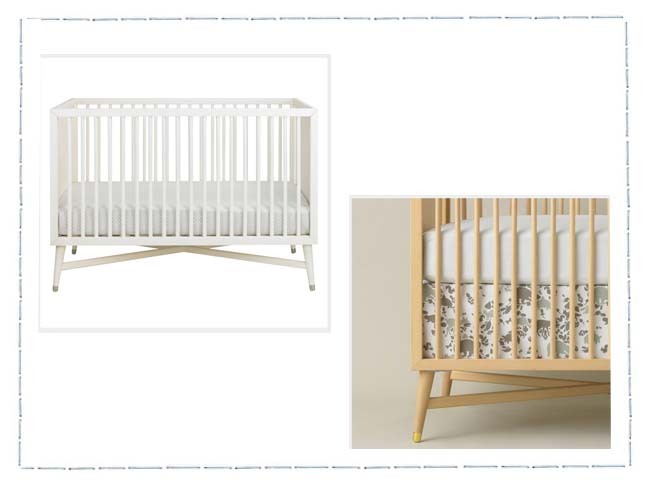 The Mid-Century Crib in French white ($980) is a simple and unique crib perfect for a natural nursery and even better for a woodland nursery. The Dwell Studio Woodland Tumble Crib Skirt ($58) safely brings nature to your child’s crib – literally and figuratively. Dwell Studios is one company that offers crib bedding as separate pieces so you can not only mix and match your pieces, you can opt out of using a controversial crib bumper. 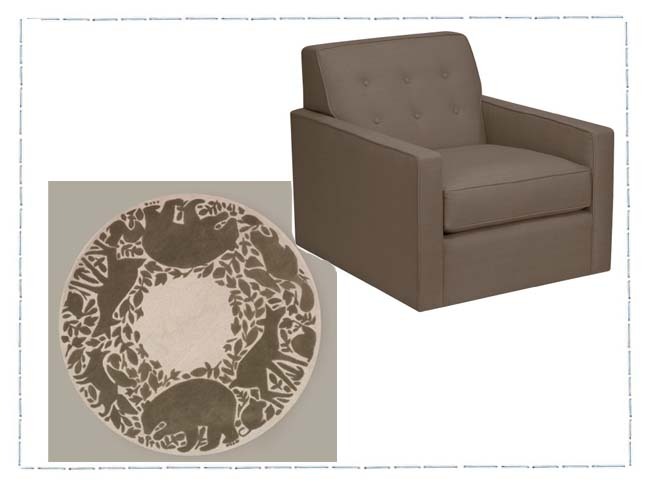 The Dwell Studio Woodland Tumble Round Rug ($500) is simple with a touch of classic design. The beautiful neutral colors allow you to play with different colors and textures to coordinate and create the perfect nature-inspired nursery. The Thompson Glider ($1,290) is one piece of furniture you will be glad you invested in. Start off rocking your new baby in his or her woodland nursery and then keep it as a memory of when your child was younger. The Thompson glider makes a great piece for any room and is made in the US from sustainable wood. The Cuddle Plush Bear Rocker ($149) compliments the woodland room perfectly and adds an element of fun for your little one. Hand the Weathered Wall Bookrack ($159) on the wall next to your nursery glider for easy access to your baby’s favorite bedtime stories. 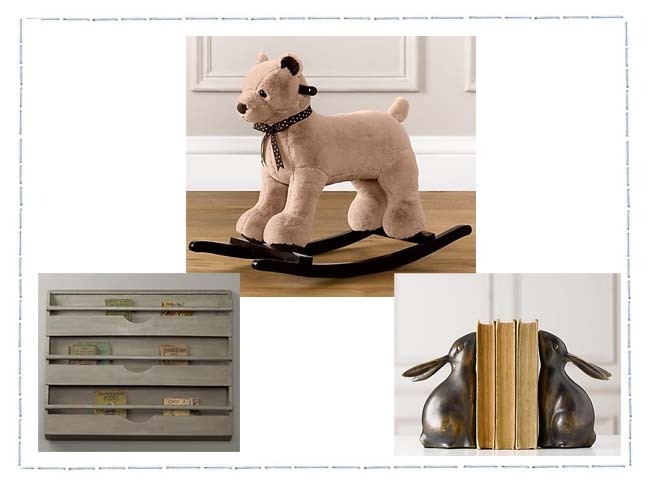 Accent your nursery shelves with these adorable Bunny Bookends ($69). The soft bronze finish matches beautifully with the browns, tans and whites of the Woodland nursery.